Cemeteries of New Mexico is an Independent Genealogy Resource organization dedicated to preserving and protecting the natural cemetery history of the great state of NM. 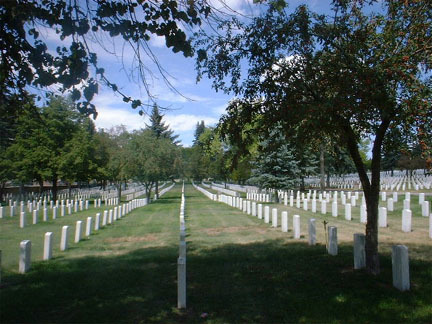 Welcome to our FREE site dedicated to obtaining, creating, and presenting New Mexico cemeteries as they are today. This is a sister site to Cemeteries of Texas and was created on Apr. 13, 2001. Our goal is to obtain cemetery histories, inscription records, directions and photographs of each cemetery or burial ground. So feel free to browse all you want, and check back often, because things are added daily. Cemeteries of New Mexico is an Independent Genealogy Resource organization dedicated to preserving and protecting the natural cemetery history of the great state of Texas. No claim is made to the copyrights of individual submitters. All work is published with permission, and is intended for independent genealogy research only. Gloria B. Mayfield - New Mexico Mgr.